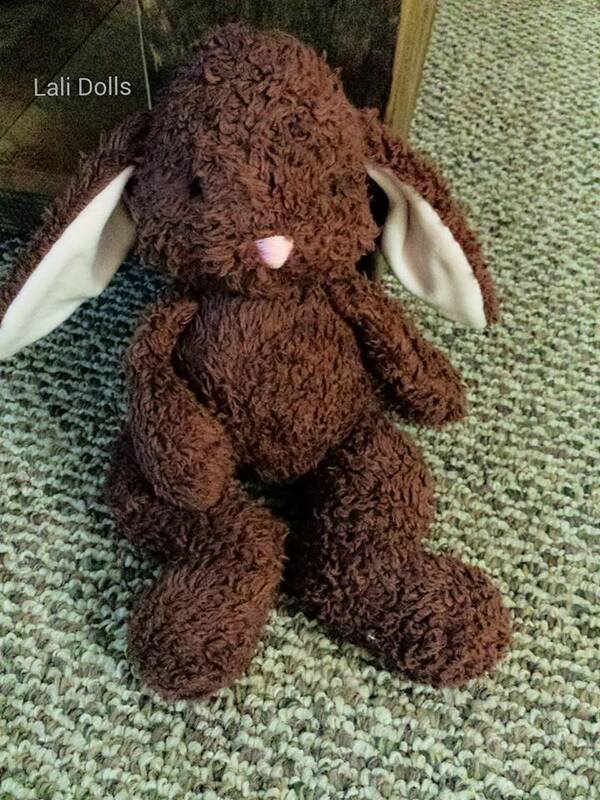 This little chocolate bunny is looking for a home. He is made with Organic cotton fabric, stuffed with wool. He measures approx 14″. If you would like to give Cocoa a home, please send me an email at lalidollnursery@gmail.com. His price is $225 + shipping.